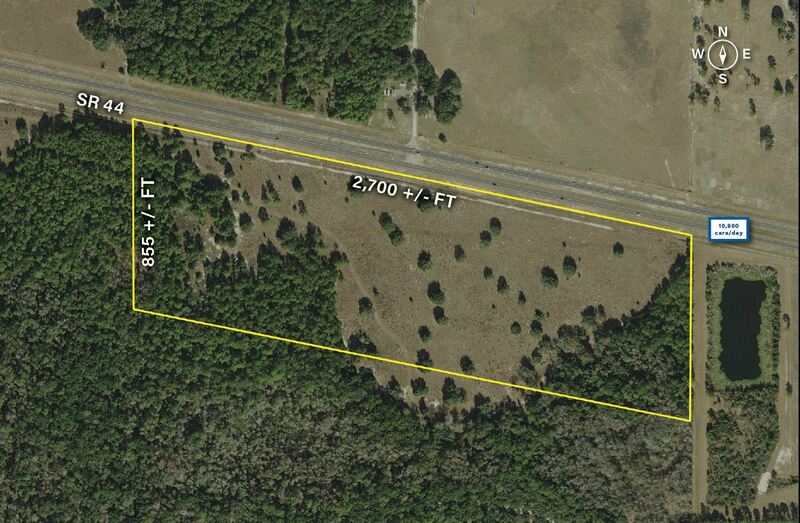 This property is 53 +/- acres of vacant commercial land in Wildwood, FL, just west of the Inverness and Wildwood I-75 interchange. 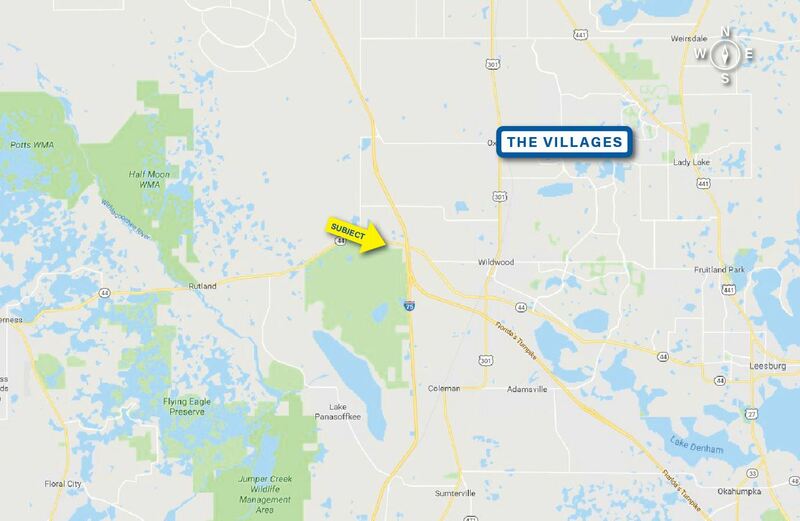 The site benefits from frontage on SR 44, proximity to I-75, and proximity to the Villages. Several household names like Pilot and McDonalds are at the interchange, and there is dense retail commerce along US 301 to the east. The site can be re-zoned for commercial, industrial, or residential uses.